Just doing a quick looky loo on Goodwill and found some things I LOVE but have no current room for. So I'm sharing my finds here in case any of you are in the market for some fun items. 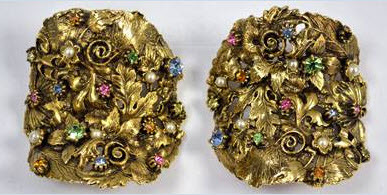 This would be my 2nd Goodwill Bling Bling Shopping installment (see the 1st one here). Enjoy! 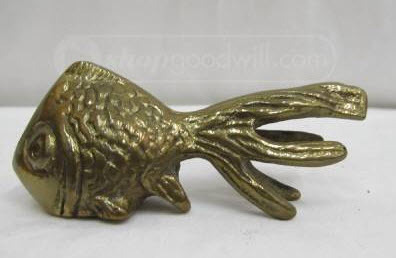 This Brass Fishy is so cute! I want him in my house... on some books maybe. He'd make a sweet little addition. No front door is complete without a fun knocker! 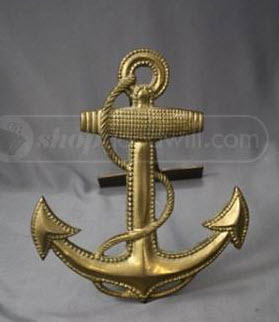 Love this anchor one. I remember back in the day my Mom have quite the collection of shoe clips. I used to think they were so dorky, but now I'm kinda loving them. 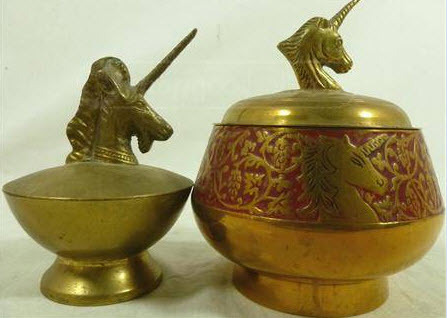 These brass clippies are funky and different. Wait, or are they ugly and gross? Whatever I cant tell anymore, but they piqued (or is it peaked or peeked, I should have paid more attention in English class) my interest enough to post them here. 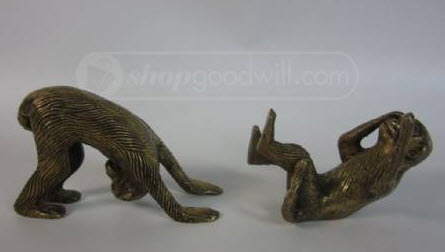 Clean these monkey babies up and they are the PERFECT addition to any bookcase. I actually kinda want these, but I have to keep telling myself I have no more room! Every desk needs a chic paperweight. Love this beetle one!! Know any Bunco players? 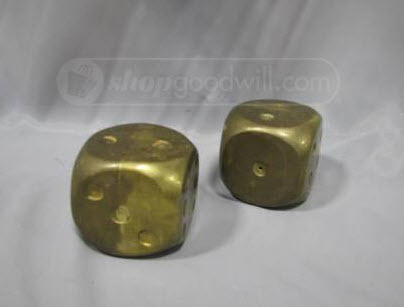 These dice would be a cute hostess gift. 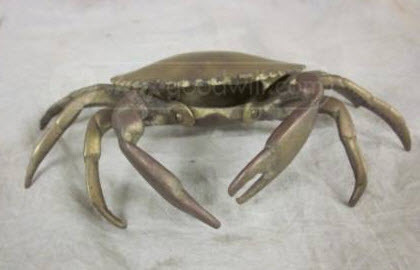 Clean this crabby up and you have the perfect bookcase accessory or a fun beach house hostess gift. See anything you are going to bid on? I like all of them but I have started to question the addition of accessories around the house. When do you decide that you have enough ? When do people start raising an eyebrow when they see your mantelpiece or shelves ? I could buy these things forever, telling myself that they are funny, pretty, witty or just celebrating a special occasion, but a little voice inside now tells me to minimise, streamline and stick to the essentials. Is anybody else thinking the same ? What do you think ?? I wish we had Goodwill here, though, looks like a great place ! 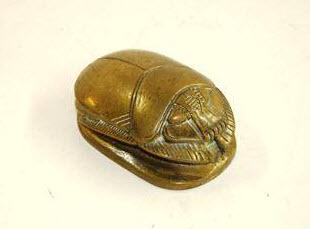 I have way too much in the way of brass accessories (but I do love that crab...). BTW, it is "piqued" - I think it comes from the French, maybe? The beetle is so gross it's cool. What a great find. love all the gorgeous finds! I'm addicted to little accessories... thought of u today, hope u're well L!